Last week we showed you McGinn’s PistachioLand. But they are not the only Pistachio farm and Winery in Alamogordo. Heart of the Desert at Eagle Ranch was possibly the first pistachio farm in the area. 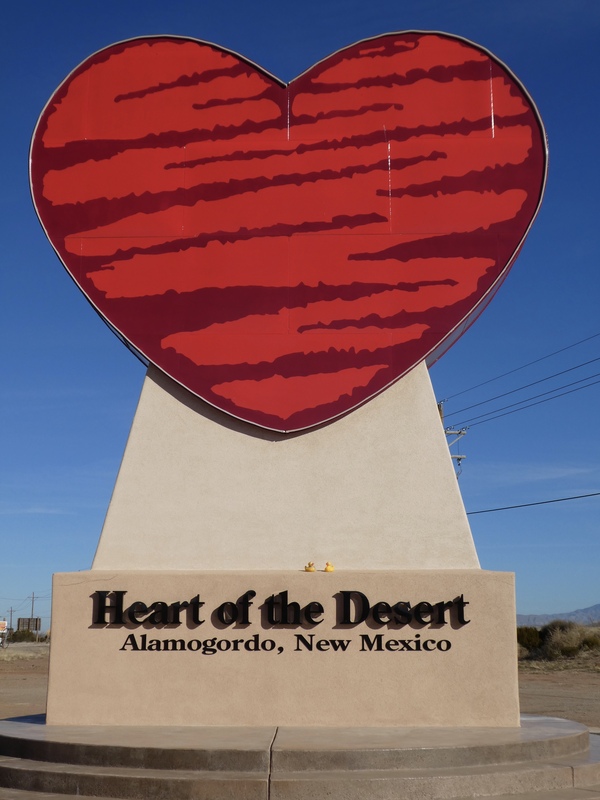 This sign, a glowing heart, was completed in May 2018. It is 26 feet tall, 20 feet wide and built to withstand desert winds up to 114 mph. They are awaiting a ruling from Guinness, to name it as largest glowing heart in the world. Today we want to show you Heart of the Desert ranch, but don’t want to repeat the same information. 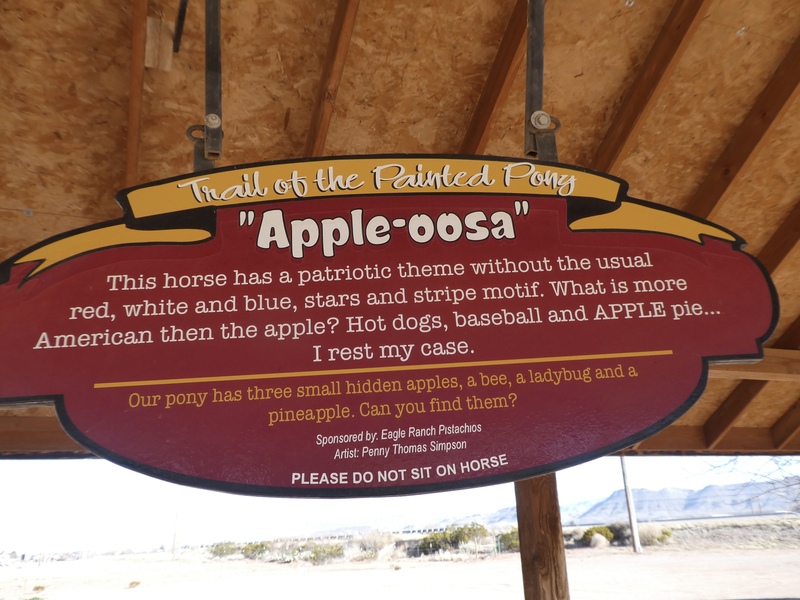 This is a great picnic area. And check out this horse. 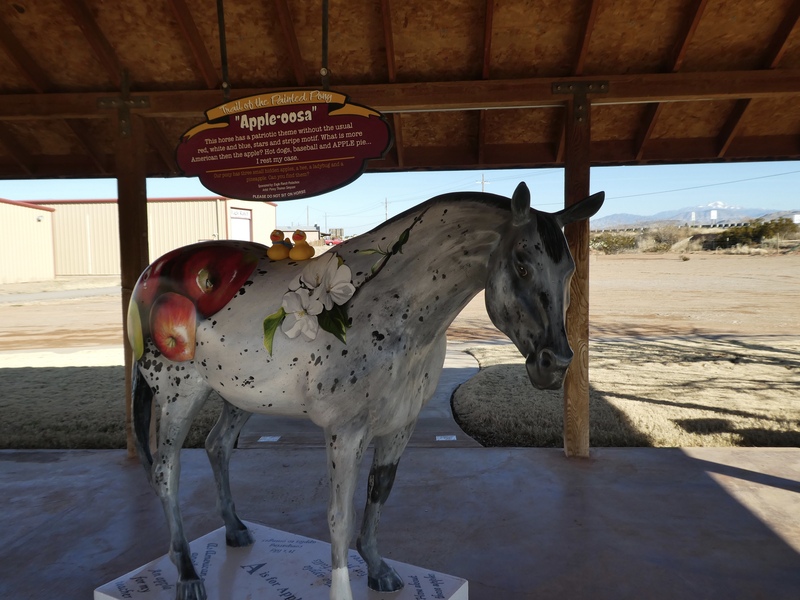 There are things painted on this horse for kids, of all ages, to find. Here is the list. Both establishments have tours of the farm. Both grow pistachio trees and process the nuts to sell. Both have vineyards. Both produce great New Mexican wine. 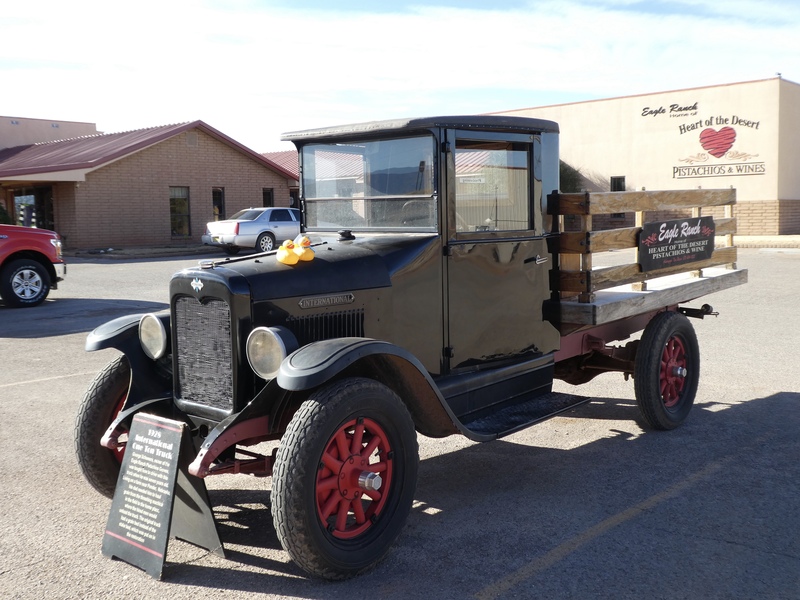 This 1928 International One Ton Truck is in Heart of the Desert’s parking lot. The sign explains the importance of this truck. Driving on the farm when he was seven years old??? Let’s see the entire truck. A real classic. 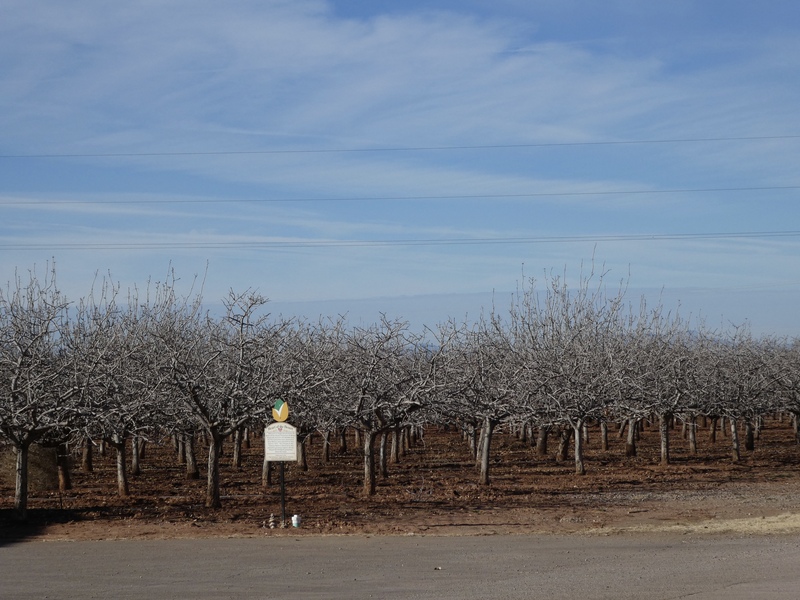 In 1974, George Schweers bought 400 2-year old pistachio trees, and Eagle Ranch was born. Trees have been added since that time. We heard that George Schweers gave pistachio trees to Mr. McGinn when he decided to start his pistachio farm. Good neighbors help each other. In 2002 vineyards and wine production was added to Eagle Ranch. 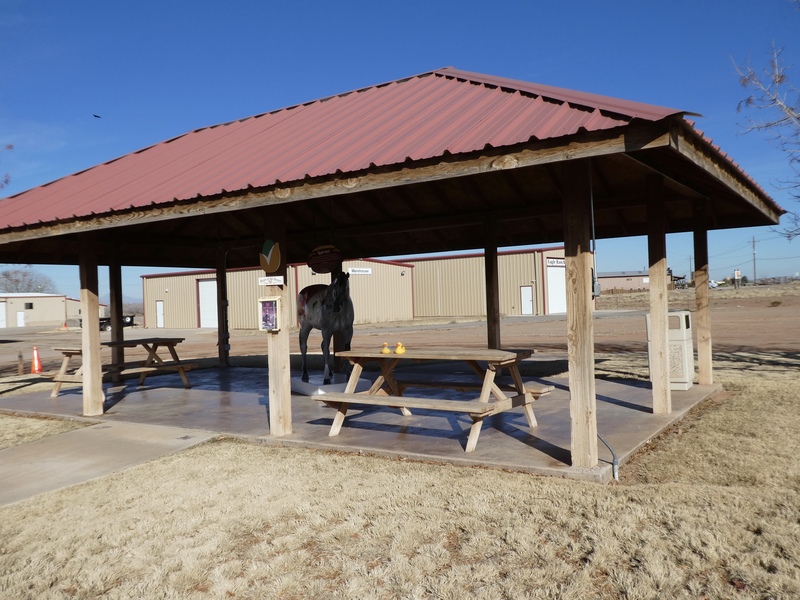 Visiting either, or both of these pistachio farms will definitely add to your enjoyment of the Alamogordo area. As you know, we like to stop at unusual roadside attractions. 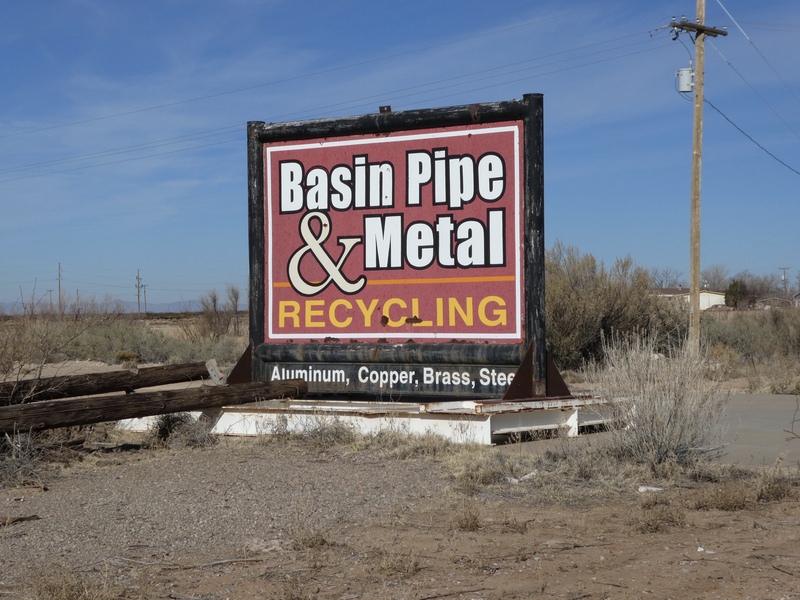 So here we are at Basin Pipe and Metal Recycling. A huge roadrunner. 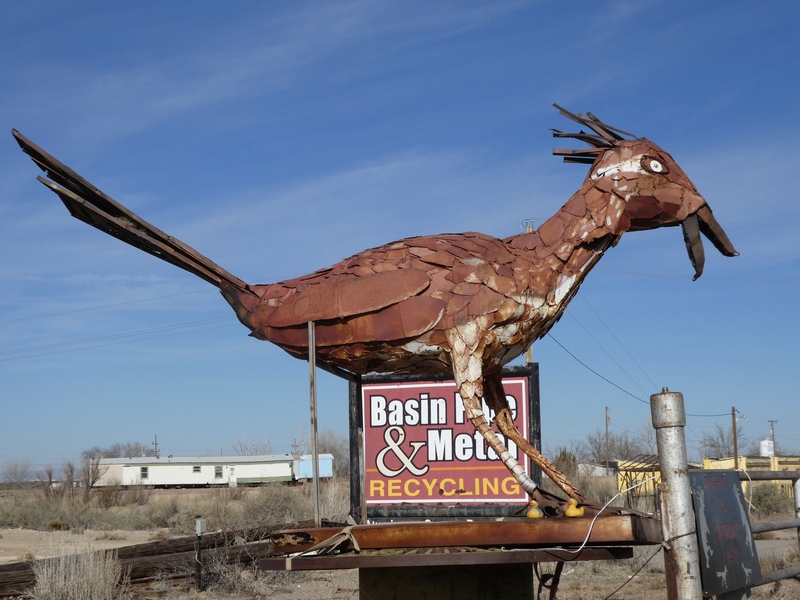 The roadrunner is the state bird of New Mexico, and this one, built from scrap metal, seems at least 20 feet tall. There is an area to pull off the main road to look at and photograph this roadrunner. We like finding new things in New Mexico. 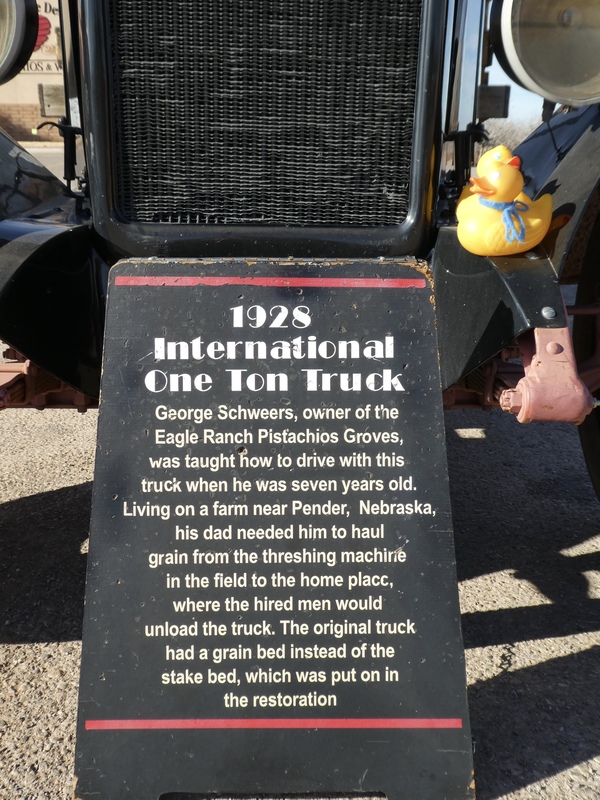 This entry was posted in New Mexico, Uncategorized and tagged Alamogordo, Basin Pipe and Metal Recycling, Colorado Traveling Ducks, Eagle Ranch, Heart of the Desert, New Mexico, picnic area, pistachio farm, roadrunner, winery. Bookmark the permalink. Thanks. We really enjoyed this road trip. Found lots of stuff new to us. Was a lot of fun. Lovely pics and love the rustic aura of the region. I don’t see many roadrunners while driving. They are fast. But this one was happy to pose for photos. I enjoy seeing the unusual stuff along the road.